For the most current streaming analytics demo, think about a search at the more current video: “Streaming Analytics: A Fast Studio Demonstration”. Video by the SAP HANA Academy. Thank you for the great video. I got an error when run streaming project – could not allocate controller…However, the streaming server which version is SPS122 runs on the same host as SAP HANA database, no project trace file found in the trace path, only the streaming server log found… could you suggest? 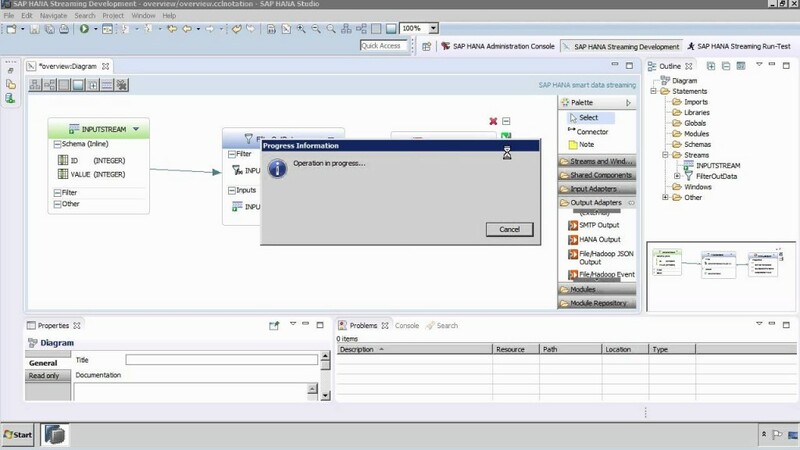 A great and useful demo that helps me understanding HANA SDS. Thx a lot!